S S Rajamouli’s Baahubali is surely making the right noise in the entire country. Now, the legend himself, Amitabh Bachchan has come forward in praise of the magnum opus. Recently, the film’s lead actor, Rana Daggubatti happened to showcase the film’s trailer to Big B. After seeing the rushes, the legendary actor was so thrilled to see such great visuals in a Indian film for the first time. He lauded all those who have worked in the film, and also wished he had been a part of such an epic film. 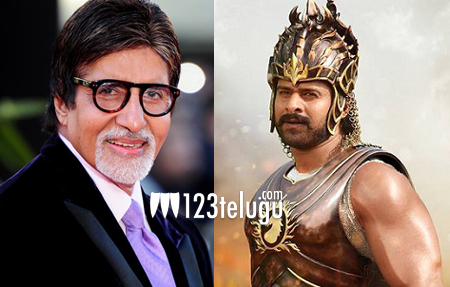 Baahubali is gearing up for a huge release on the 10th of July.